So. 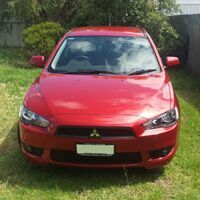 Out of the last three cars my fiance and I have owned (2008 380, 2009 Lancer VR, and 2010 Commodore Omega), only ONE has proven to be a good car. 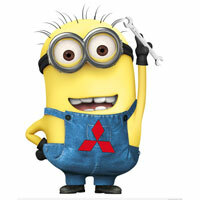 The Lancer. The 380 was dressed up before sale/inspection, traded it in for a huge loss on the Commodore...which is also sucking money. Dealer had to resurface the heads, and did a whole bunch of other work under the three month warranty. Now it needs a transmission rebuild. So, I am looking at paying off the VR as fast as possible to get one for myself (I bought it for my fiance). I only have a couple of issues. The driver's seat doesn't go back far enough to be fully comfortable. Does the Rallyart have a better seating position for taller people, or will I have to modify the seat rails myself? The other concern I have is the engine. I know my 3000GT VR-4 I had in the States was rather fussy about repairs, and constantly needed something. Will I see the same with the RA as it ages, or will it behave with regular maintenance? Thanks for any and all information! You must be a tall fella, I'm 6'5" and have no worries with the seating position..back seat would be a different story entirely. As far as the RA goes, regular maintenance should keep you hassle free. There's always a possibility of things dying with age but keeping the maintenance up you'll be able to foresee any kind of preventative maintenance you may need. I was 6'4" before spine damage. I think a lot of it is that my knees are also messed up, so they're more comfortable extended. That's one reason I love my Commodore, the seat goes back forever. I'm not fussed about seat space for the back, since it's just my fiance and I (kids are just not an option for me). I will go take a look at a few RA's and see how they go. I know they have a different seat from the regular Lancers, so the difference might make it more comfortable. Since when is 6' short LOL, guess I'm average? Anyway I tend to sit close to the wheel for better control, I do know others they have their arms stretched out. I have no issue with room but it would have been nice for them to offer reach adjustment by now on the CJ/CF.